One of the contributors, best-selling author Neil Gaiman, remarked about the project, “It’s a strange place, this time and this country, in which having tools that can only be used to murder is seen as human right… It’s about wounds and healing, about death and forgiveness, about pain and childhood and the dark. I hope it helps make people think, and I’m honored to be part of the conversation....."
I was diagnosed with anxiety disorder and clinical depression in 2014, and while I have it mostly under control, there are still days where I’m paralyzed by irrational fear (I recall a particular evening where I found myself in fetal position on the floor because I couldn’t figure out how to use my friend’s washing machine). I even had a good cry over what to write for this blog post. So how does an individual with anxiety live an activist lifestyle? Life with anxiety does mean that we are weary of many things in this world, but often the only thing of which we are more weary is doing something about it. The thought of marching in a rally (particularly one that could become violent), making a poster, or even writing a post on Facebook can be enough to shut me off from the world. There’s a lot of evil in the world, but what if someone hears me? Worse, what if they disagree? What if I go viral and now I’m receiving death threats? Now, here is where I’ll digress for a bit. I recognize that this line of thinking is partially a result of my privilege. I walk this world as a white woman, which I realize affords me the ability to successfully avoid activism. I could live out my entire life without “getting political,” and still feel safe, happy, and fulfilled. My life does not depend on me fighting for my basic rights. I am capable of sitting at home, feeling scared to post my beliefs on Facebook, ultimately deciding not to, and carrying on my day without a hitch. I know there are those who are not clinically diagnosed with anxiety, but live with the very real fear that they will not survive to see the next day. Afraid to wear a sweatshirt, walk on a particular street, or simply be alone. Being silent could turn to being dead. So in one of my less anxiety-ridden moments, I pondered my thought process: what if someone does indeed hear me, but what if, instead of my slightly irrational fear of death threats, they actually agree with me? What if they, too, have been afraid to speak up because they thought they were the only one who felt that way? What if now they feel empowered to speak or act because they are certain that they are not alone in their thoughts? And that is my challenge to anyone like me who struggles with anxiety, but desires a life of activism. Refocus: away from those who might stand against you, and towards those who might stand behind you. It’s not a change that happens overnight. I’ve been working on myself for years to be more intentional about leading an activist lifestyle. And I’m nowhere near “cured.” Rallies still terrify me, and I still hesitate sometimes to make comments on Facebook or broach certain subjects. I have found the most growth in starting conversations with those I trust-- a kind of activism practice. I identified those people in my life who will react respectfully to differing opinions, and topics that make me cringe transformed into easy, open dialogues. In this safe space of trusting dialogue, you can more easily identify what you believe, and become more comfortable with vocalizing it. For some (and I include myself in this category), standing up for what you believe will always be scary, especially with realities of division, injury, and death looming in the back of our minds. As an individual with anxiety disorder, I discounted myself from an activist life, but even those of us living with anxiety can create methods of overcoming paralysis towards activism. Courtney Rose studied English & Creative Writing at Longwood University, and her fiction has appeared in Sante Fe Review. 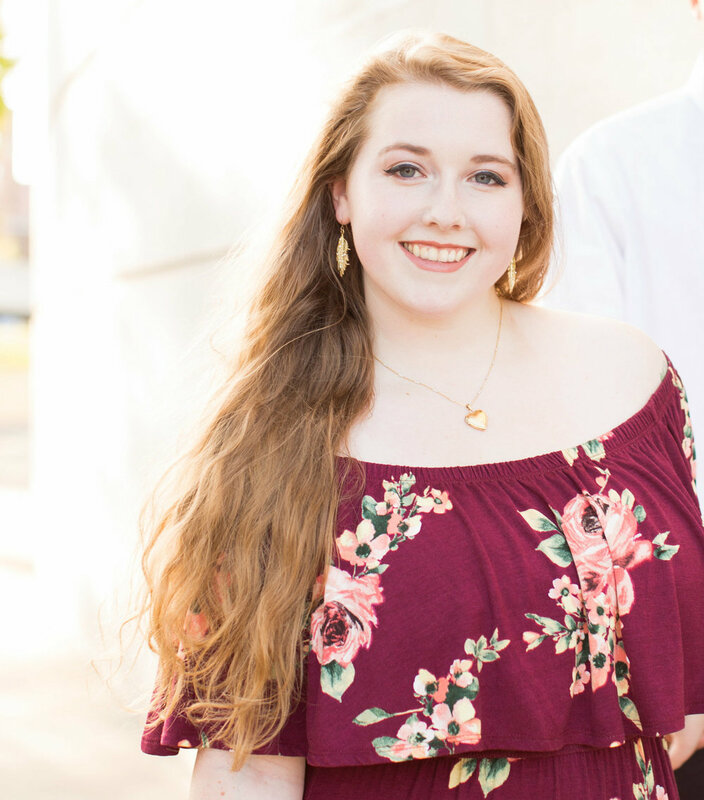 She is an aspiring wedding planner, currently pursuing that dream as an intern, and member of the Central Virginia Chapter of Writing for Peace. 1. Volunteer: Volunteer on your own or with interested groups to assist disadvantaged and underprivileged people, and threatened species and habitats. In an international context, volunteer to work in refugee camps, at local schools and medical care clinics, or for some other NGO (non-governmental organization). There is a huge network of volunteer organizations around the world, and once you are part of it, once you start volunteering, it is easy to find new and fascinating opportunities. 2. Grassroots activism: Found or join community, student or other groups and then engage in “tabling,” where you set up a table at some social event and hand out literature and talk about your cause. In addition, such events are often supplemented with, or designed around, activist speakers and performances and exhibitions by activist artists. The objective of grassroots activism is to increase the publicity of, and most importantly the support for, your cause. You particularly want to engage the interest and if possible the involvement of members of the different groups that are being negatively affected. Your goal is to organize them, to pull them out of their complacency and defeatism, and to assist them in their opposition. Lastly, there is the problem that activism is usually reactive. We assume, because we are ethical, that other people are as well; that they have a conscience and are not wholly dominated by personal selfishness. Then, when they demonstrate that they are so dominated, we have to react. To be effective we must build large-scale movements, and we must anticipate this: we must be proactive, and unpredictable....."
"Words are the tools writers use to create change, but without readers what we write cannot come alive. Readers must be at the heart of this movement. We invite you to resist normalizing "alternative" truth and narratives that contradict the bedrock principles of our country. Resolve to seek out and share truth and initiate inspired conversations. Together we can shift the narratives that define our future and help recover democracy. On Fridays join us on social media with the hashtag #ReadersResist and share prose passages, articles, photos, poems, or any written material that demonstrates the solace, resolve, and resistance so essential to renewing our democracy.